Dark experiments have permanently altered time. Or have they? Now, Soviet tanks crush city after city while Allied cruisers shell bases. Spies lurk, land mines wait, and strange new technologies aid both sides in their struggle for ultimate control. The mighty Soviet Empire has begun to "liberate" all of Europe. Cities fall and countries collapse before the overwhelming might of the Red Storm. The Allies are scrambling to meet the onslaught, but they have been caught by surprise. 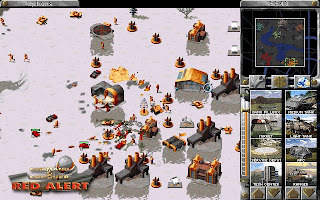 With over 40 missions across an interweaving storyline, and a riveting soundtrack, Command & Conquer Red Alert's superb gameplay is still easy to take hold of and highly addictive after all these years, Red Alert puts the fate of the world in your hands!